Time is too precious to wait for answers...If you are looking for child care anywhere in the United States, you've come to the right place. If you are a busy parent and need answers quickly, we understand! By filling out the information below, we will provide you with a "Child Care Instant Answers" CareReport® directly to your e-mail or fax. It will contain the type of child care you desire and in the geographic areas you request! It's fast and easy and, more importantly, from a name you can trust, Child Care Insights, Inc., "The CareReport Company®." We offer all kinds of reports and for all budgets! If you're new to this site and would like to read more about us and our 18 years of serving families just like yours - click here or visit our corporate site at http://www.CareReports.com. Œ What Type of Child Care? You specify all your criteria, our child care consultants make all the calls! 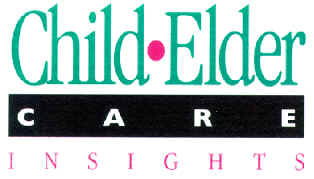 Child Care Center Inspection Report $30.00/ea. Determine whether your provider is lawfully providing care. $25.00/ea. Provide us with valuable Feedback and win a free CareReport! Click here.